In conjunction with the International Day of Forests on 21 March, the National Parks Board (NParks) recently launched several new initiatives and activities to celebrate Singapore’s forests, raise awareness, and involve the community in caring for trees in Singapore. 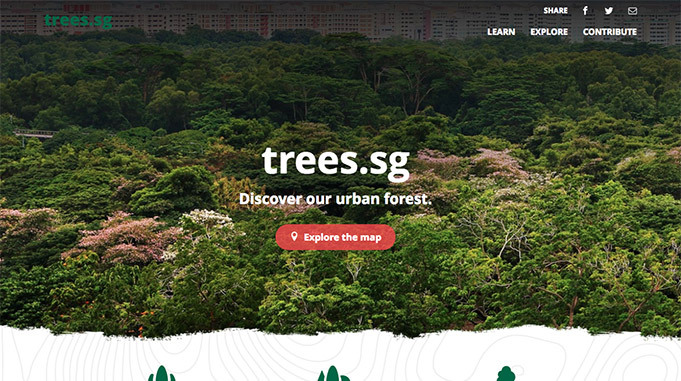 A key initiative is a new online platform (trees.sg) with the most extensive urban treemap in Asia as it showcases the location of and information on over 500,000 trees. 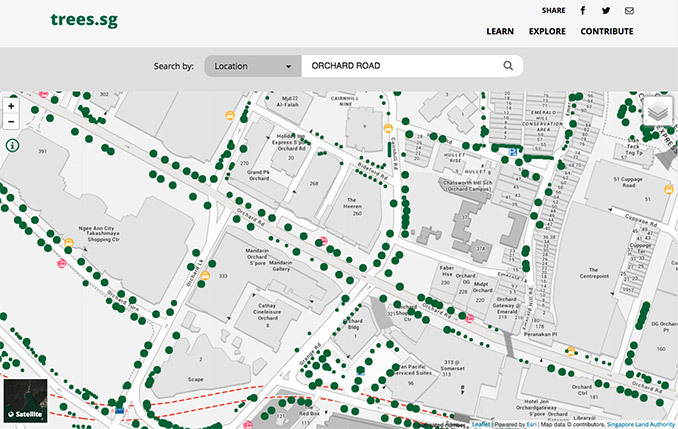 Beyond virtual tree engagement, the public can also actively participate in tree-related activities through volunteering with a new community group (Friends of TreesSg) or participating in free guided walks of tree trails (including one featuring the new Chinatown Heritage Tree Trail). 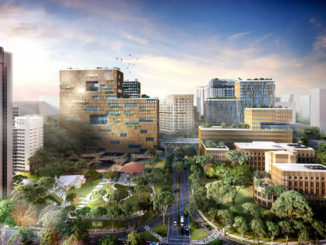 At the launch event today, NParks also shared the landscape design concept for the First Botanic Garden at Fort Canning Park and its surroundings, and Minister for Social and Family Development and Second Minister for National Development Desmond Lee planted the first trees with the community to mark the start of the heritage landscape restoration works of the garden, also the world’s first botanic garden on urban streets. Members of the public can also explore Singapore’s urban forests and living heritage through NParks’ tree trails. 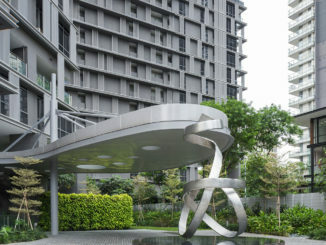 A new free public guided walk on the new Chinatown Heritage Tree Trail starts from Duxton Plain Park and takes visitors on a tour of five Heritage Trees that can be found in Chinatown, one of the oldest historic districts in Singapore. The public can sign up for free guided walks of the new Chinatown Heritage Tree Trail and other existing tree trails in the coming weeks. The DIY trail guide for the new Chinatown Heritage Tree Trail will be available later in 2018. Last month, NParks announced enhancement plans for Fort Canning Park and its surroundings, including the restoration of the First Botanic Garden. In 1819, Sir Stamford Raffles had initiated the idea of an experimental garden when he sent a shipment of nutmeg and clove seeds and seedlings from Bencoolen to Singapore. Major William Farquhar first cultivated the plants at Fort Canning Hill and the plot was expanded into a larger ‘Botanical and Experimental Garden’ in 1822 when Raffles returned to Singapore. The restored First Botanic Garden will extend from Fort Canning Park onto streetscapes of roads bounded by Hill Street, Victoria Street, Bras Basah Road, Handy Road and Canning Rise. NParks is also working with developments within the boundaries of the First Botanic Garden, such as the Singapore Management University and Park Mall, to incorporate the planting palette within their compounds so as to create a more seamless experience for visitors. When completed, this will be the world’s first botanic garden on urban streets. The first trees in the garden were planted today by Minister Desmond Lee and members of the community, including grassroot leaders, residents, stakeholders in the vicinity and members of Friends of TreesSg, to kickstart the enhancement works. NParks also unveiled the landscape design concept for the garden today. The planting within the boundaries of the re-created First Botanic Garden will fall under four broad themes, namely economic spices, ornamental plants, medicinal plants and plants that are native to the region. The overall concept is aligned with the feedback that the public has given so far, with nature and history being what interests them the most in Fort Canning Park. The public can continue to give their suggestions for the enhancement of Fort Canning Park at Fort Canning Centre, the Singapore Botanic Gardens or online at www.nparks.gov.sg/fortcanning until 1 May. In November 2016, NParks launched the SGPY 2017 photo competition where photography enthusiasts could submit photographs of what they thought best represented the three themes: “Gardens and Landscapes”, “People and Nature” and “Our BiodiverCITY”. The competition attracted more than 16,000 entries in total, including the open and Instagram categories. The competition’s presenting sponsor is City Developments Limited, supported by Nikon and the Photographic Society of Singapore).